Updated Friday March 22, 2019 by Habersham Little League. Parents your coaches will be signing up for spots for your teams 2019 photos on March 30th from 10am-7pm. These will be held at the Clarkesville United Methodist Church Fellowship Hall. The address is 1087 Washington St, Clarkesville, GA 30523. Please arrive at your appointment 15 minutes early to make sure we give everyone time needed to get their photos done. 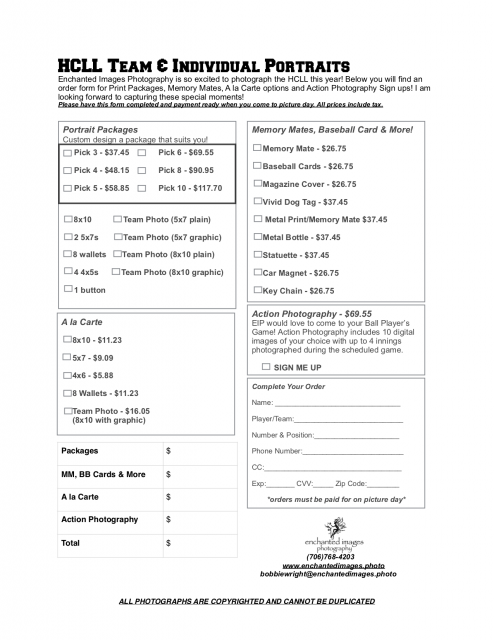 For faster checkin at pictures you can print off this order form and be ready when you arrive with what package you'd like to purchase.